Yamaha Motor India has released a teaser of a new variant of the Ray ZR automatic scooter at their official Facebook page and Youtube and they say it is coming soon. From the looks of it, the launch of the new scooter will take place in a few days from now and it appears to be the Ray Street Rally Edition which was showcased at the 2018 Auto Expo in February. The Ray ZR 110 Street Rally Edition is based on the standard Ray ZR and carries a handful of cosmetic upgrades like sportier decals, aluminum footrests, jazzy color theme apart from an all-digital console and gas charged rear shock absorber, which was red painted (and the cylinder was golden in color). However, the model in the teaser video makes do with white colored rear shock absorber which could just be the regular unit from the current Ray ZR. The highlight of these upgrades is the set of sporty decals the scooter carries. The Ray ZR Street Rally Edition looks much sportier than the regular variant. The scooter also gets black-finished six-spoke alloy wheels. Like we said, the show model had gold-finished alloys, but the same hasn’t been carried over to the production version. 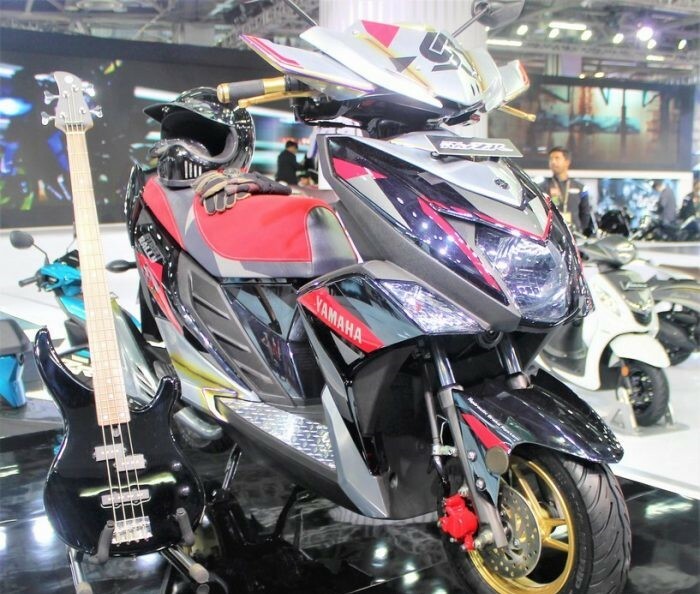 The Yamaha Ray ZR 110 Street Rally Edition is powered by the same 113-cc, single-cylinder, air-cooled engine that is found in the regular version. This engine is capable of turing out 7 hp and 8.1 Nm of peak torque paired to a CVT.